You already know that Jeep creates some of the most desirable SUVs on the road today, but what’s the difference between the Jeep Wrangler and the Jeep Cherokee? They’re both top of the range models in their own respective classes, and you’ll find that each exhibits the bold and daring style that helps define the Jeep brand. That said, there are clear and important differences that separate them that could help you discern which is the best for your driving needs. The Jeep Wrangler is an iconic off-road machine with a lineage going back over generations of adventure. While the SUV class has started to focus more on more on producing vehicles that will never leave the city or highway, the Jeep Wrangler has remained a pure example of rugged backcountry capability. 10-Inch Ground Clearance, 42.2° approach angle, 25.8° breakover angle, and 32.3° departure angle. All in all, it’s no surprise to learn that the Jeep Wrangler Rubicon model was named “Best 4×4 Vehicle of the Decade” by Four Wheeler Magazine. Uconnect® 8.4 NAV with high-resolution 8.4-inch color touchscreen, built-in 3-D Navigation, HD Radio™, and more. Alpine® Premium Audio System with a 12-channel, 506-watt amplifier, nine speakers, and a powerful subwoofer. Heated steering wheel to keep your hands warm and relaxed during cool winter mornings. 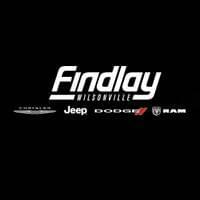 The team here at Findlay Chrysler Jeep Dodge RAM of Wilsonville understands the key differences between the Jeep Wrangler and the Jeep Cherokee, and we’re always ready and waiting to help identify the right model to fit your needs. Contact us today for further information or to explore financing options. Alternatively, feel free to schedule a test drive in either the Jeep Wrangler or the Jeep Cherokee. 0 comment(s) so far on What’s the Difference Between the Jeep Wrangler and the Jeep Cherokee?